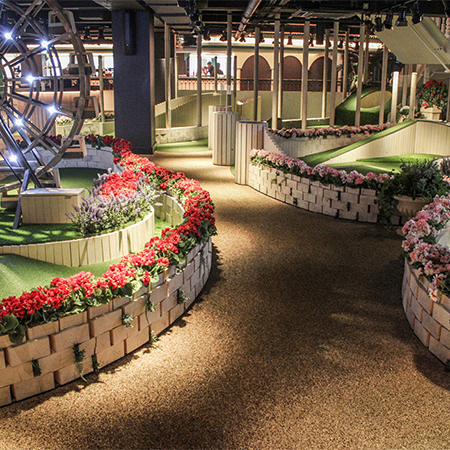 Flowcrete UK’s flooring solution, mimicking a quintessential English country-side setting, was installed at the 1920’s themed crazy golf course, Swingers in London. 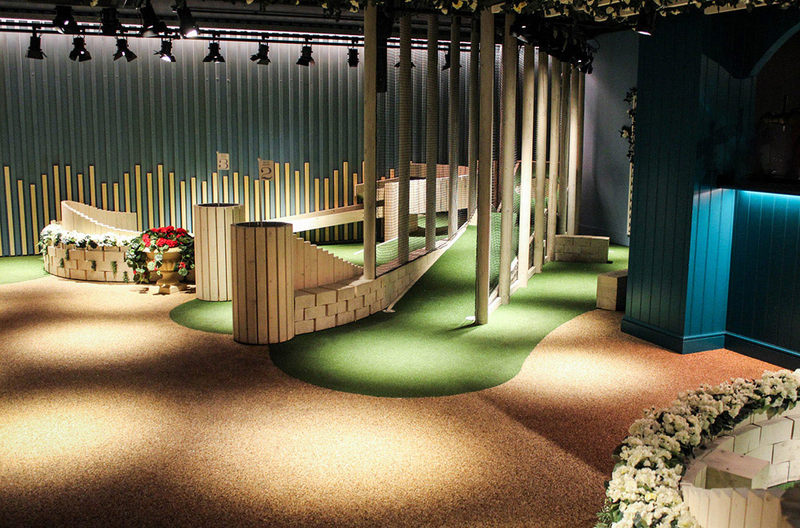 Swingers needed a floor finish that would portray this specific aesthetic while also being able to withstand the scuffs, scrapes and stains inherent to a popular, inner-city visitor attraction. 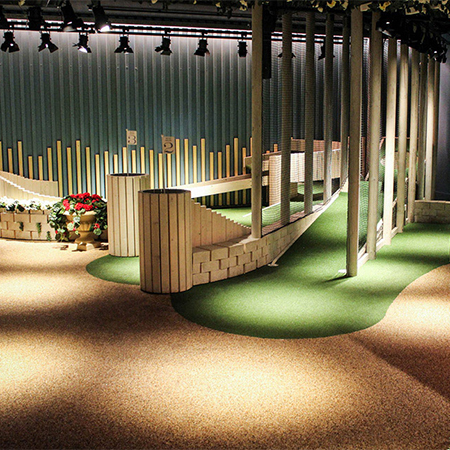 The two-component, polyurethane-based transparent binder Flowbind LS was combined with light coloured pebble stones to create 118 m2 of flooring with the look and texture of a rustic country path. 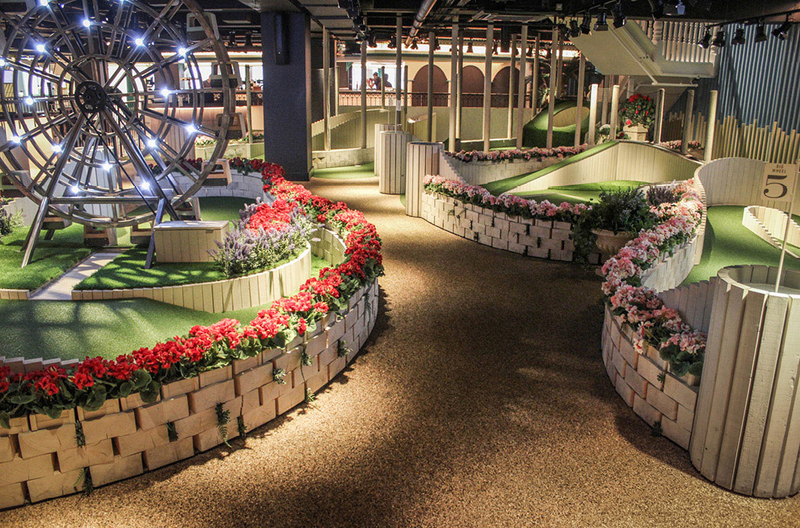 This system was installed in a complex maze around the golf course. The decorative coating was applied within curving trims that designated the outline of the path. 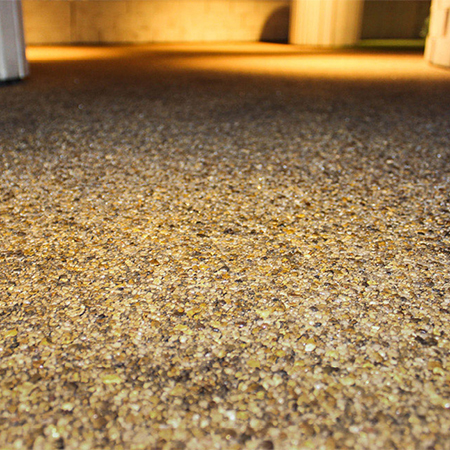 Being a resin-bound material, Swingers new floor would be easy to clean and maintain. 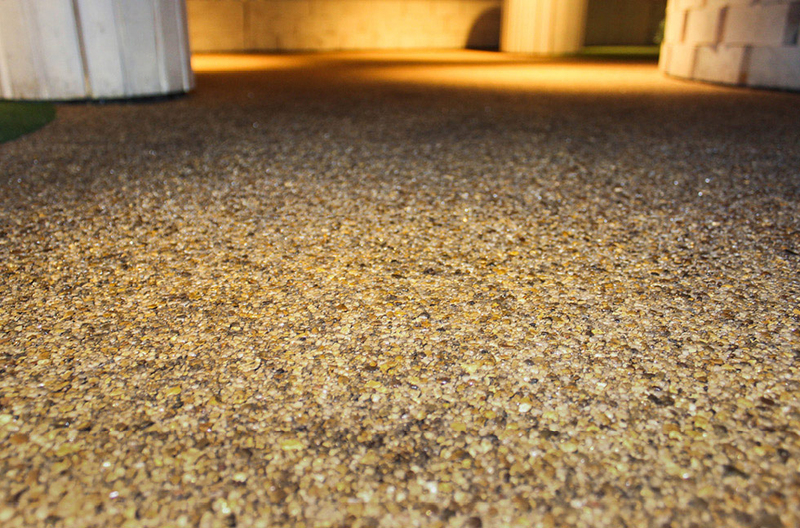 This is an important asset within a busy commercial environment, as it means that any spilled drinks, dropped food, walked-in dirt or other blemishes can be quickly washed away, ensuring that the desired appearance isn’t spoiled and that the surface presents an on-brand, appealing and welcoming sight at all times.